Mid VI is emerging as the apex of technology and innovation on the island. Integrated with fibre optic networks and high-speed telecommunications, our region is primed for development. When compared to major metros such as Vancouver and Victoria, doing business in Mid VI is exceptionally affordable while still being highly accessible. Companies such such as Real Estate Webmasters and Cloudhead Games are thriving and leading their respective industries with international recognition and prolific success. Learn how these local businesses shot to the top—with Mid VI as their launchpad. Knowledge-based endeavours take the helm of the economy in Mid VI, making up 90% of companies in the region. The majority of members in the business community are from the following industries. Momentum is building, and the evidence of imminent expansion is accumulating. Businesses are searching for new, exciting locations that offer lower costs, beautiful surroundings, and work-life balance. Since 2002, the business community has grown by 23% and the population continues to increase. 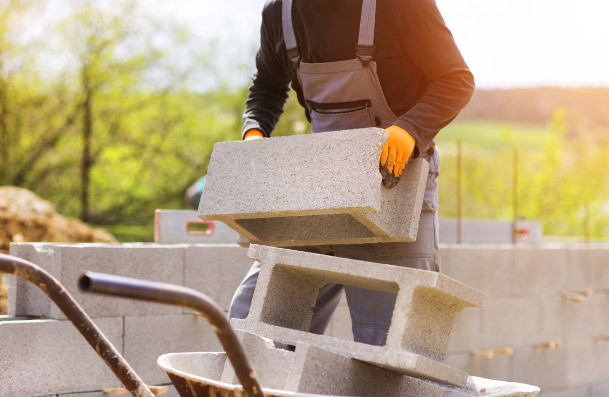 It’s also worth noting that changes in building permits are often one of the first indications of changes in the surrounding economic conditions. People are discovering the potential of our region, so now is an exciting time to be a part of it. It’s forecasted that by 2041, the population of Nanaimo and the area will grow by 32%. By 2020, it is estimated Nanaimo’s economic impact will be in excess of 2,000 jobs and $150 million in economic activity. Over the ten-year outlook period to 2022, demand for workers is expected to outgrow the labour force by 42,250 workers. More than three quarters of the forecasted job openings from economic activity over the coming decade will require post-secondary education and training. Of the 985,100 projected job openings in BC by 2022, 44% will require a college diploma/trade certificate and 34% a university degree. The residents of Mid VI is unparalleled and primed for future explosion. More than 60% of residents have some post-secondary qualifications, positioning the area to better meet the demand of job openings requiring the rest of the province. 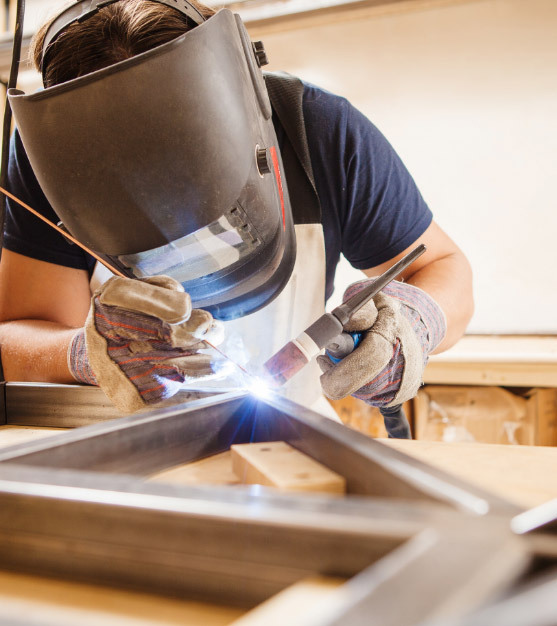 At 63.6% the proportion of Nanaimo residents who have apprenticeship/trades or certificate/diploma is higher than the provincial average at 54%. By 2022, it is estimated that 78% of job openings will require post-secondary training. Mid VI is accessible and central to its trade partners — over 80% of the population of Vancouver Island is within a two hour drive. 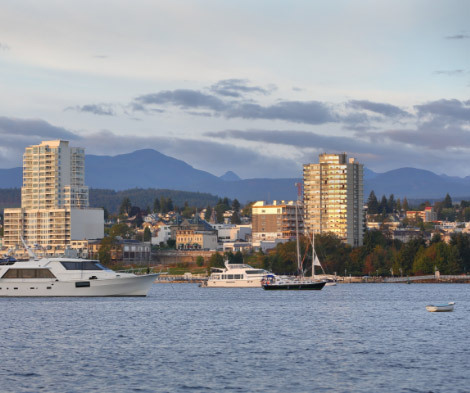 Nanaimo is the transportation hub of the region, playing a critical role in its economy. 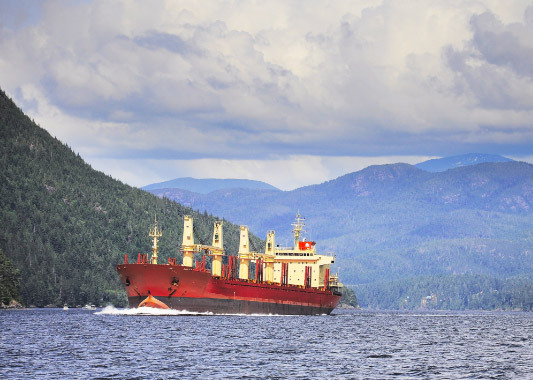 Vancouver is only a 15 minute flight or 95 minute ferry ride away, and Nanaimo’s deep sea port is capable of international product shipping, providing a gateway to the Mainland and the world. Nanaimo lease rates are significantly lower when compared with Victoria or Vancouver for each class of commercial space. The economy of Mid VI offers the perfect climate for companies who offer highly specialized services, provided by a highly skilled and educated workforce. The service sector, whose skills are primarily knowledge based, makes up 90% of the local economy, and only 10% focused on producing goods. Mid VI is anticipating future expansion, and in a prime position to meet the demand for a skilled, qualified workforce. By 2022, it is estimated that 78% of job openings in the province will require postsecondary training. More than 60% of Nanaimo’s residents have apprenticeship/trades or certificate/diploma, whereas it is only 52% for the rest of the province. Just within the City of Nanaimo, nearly 5,800 businesses have been licensed, and this number is swiftly increasing. With the vast majority being locally owned/operated small businesses, Mid VI offers a perfect environment for those looking to start a new venture or relocate an existing company. The base of Nanaimo’s immediate area totals 373,314, and this doesn’t even include Victoria or Vancouver. From 2006-2011, the growth of the population in this areas has resulted in a significant increase in the total trade area. Overall tax rates in Nanaimo are lower than similar sized cities such as Prince George and Kamloops. The business tax rate is 22.9820, and Ladysmith and Nanaimo offer incentives and exemptions for businesses. Provides an incentive to existing commercial buildings in the Downtown Core and Downtown Mixed Use areas (as defined in the Official Community Plan) when the construction value of the project is at least $15,000. Encourages the development and redevelopment of hotels and motels to improve upon the inventory of quality rooms available to the travelling public.